Out of Orient Industry's groundbreaking true-to-life realistic love dolls, the Petite Nano is their most innocent, most youthful girl. You'll want to preen, play with and snuggle up close to this sweet lady and her cute figure...all day (and night) long! Like her predecessors, such as the Separate, the Petite Nano is fully customizable and can be adjusted to just the way you would like your ideal partner to be. You can start by choosing whether you want a regular PVC body or upgrade to silicone. The tender, modestly chested (A Cup) Petite Nano is also designed to be easily and quickly assembled by hand. This means you get to know your lady inside-out, every inch of her body. The kind of activities you will want to do with your love doll should determine your choice of legs. Straight or bent means your girl will be more suitable for standing or sitting respectively. 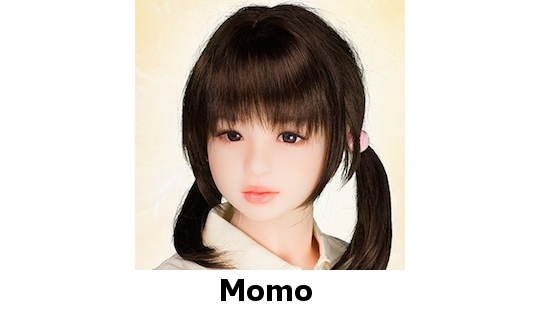 The type of posing you want to achieve can be customized to your doll's features. If you want the most flexibility, of course, just get both kinds of legs! Naturally, once you've chosen your body you will want the perfect face for your lady. 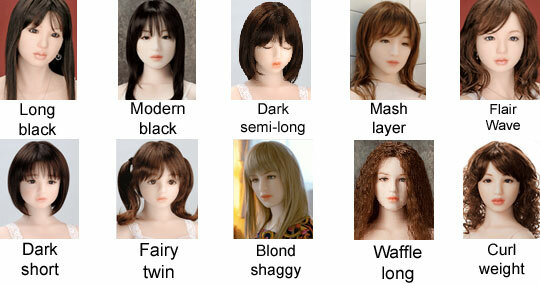 We have a great range of SIX model face/heads available for the Petite Nano, all made from high-grade silicone options. They also come with optional movable eyes. Certain, well, routines with your Petite Nano also benefit from a body hole. The doll can fit many kinds of onaholes, though one is included to get you started. You can choose the masturbator design you want: Karami-tako (Octopus Grip) or Uzushio (Whirlpool). The "octopus" features a slim tunnel lined with sucker-like bumps, curving at the end. The "whirlpool" is a straight tube with multiple ribs, widening as you push deeper inside. You get lubricant, plus two versions (tight or loose) of your masturbator choice. You can also add underhair to your lady's downstairs regions for extra realism. There are also plenty of other extras, including practical tools such as a cleaning spray, protection cover and display torso.